It’s finally September!! You know what that means? The countdown to Halloween is ON. No matter how prepared I think I am during the year, Halloween is always the holiday that seems to sneak up on. Well, not this year folks! I’ve started prepping NOW so I’ll be extra ready next month. I’ve put together a few ideas for a class Halloween party. I don’t know about your kids schools, but mine have a strict store bought snacks only rule. 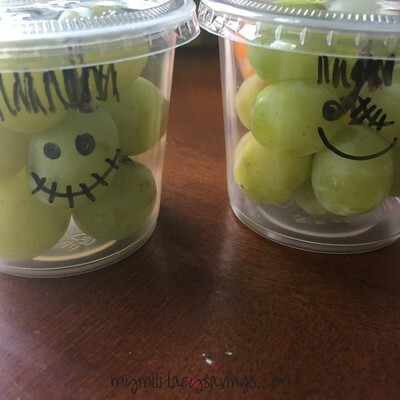 Instead of sending in boring snacks, spruce them up a bit with a little Halloween decoration. These only take a few minutes each and the kids love them! 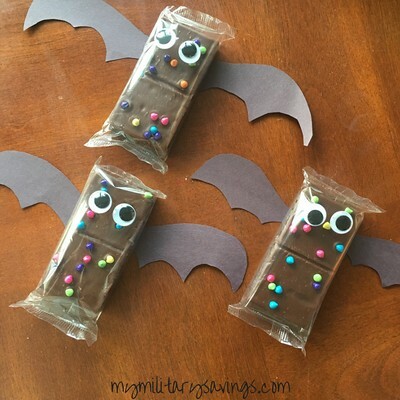 First up, Batty Brownies! These are my favorite. 😉 Store bought brownies with bat wings and googly eyes. I cut the wings out of black construction paper and taped them onto the back of each brownie. A couple googly eyes on the front and there you have your adorable brownies! 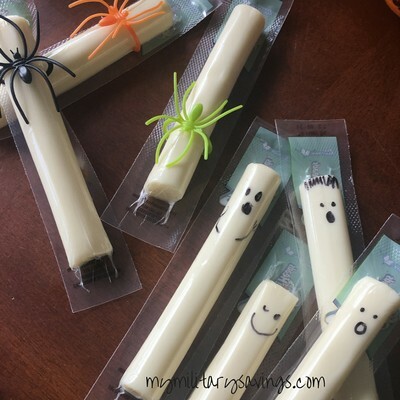 String cheese is a great store bought snack for a class party. Decorate them with little sharpie faces (think Ghosts!) or stick some dollar store spider rings over the top. Easy peasy! Next up, we have some clementines. These are the EASIEST thing ever! 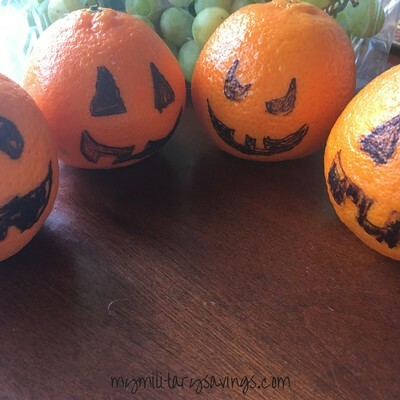 One bag of clementines or tangerines from the commissary and a sharpie and you have mini pumpkins! You can even get the kids involved with these. I know my kids LOVE these oranges in their lunch box so I think they’ll really love decorated ones in October. 😉 These jack-o-lantern faces work great with orange fruit cups as well! Grapes are another great healthy snack to bring to the party. You make little Frankenstein heads out of to-go containers, which make them easy to transport as well. Draw little faces on each container. 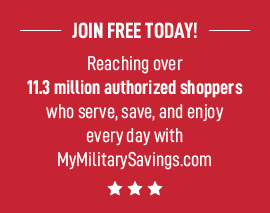 Again, great for the kids to help with also! For another sweet treat, how about donuts? Add more dollar store toys to make monster mouths. 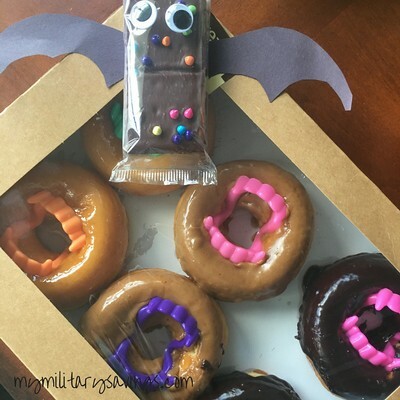 My boys love these vampire teeth and they fit perfectly into the donut holes! You could even add candy eyes or chocolate chips or eye, if desired. 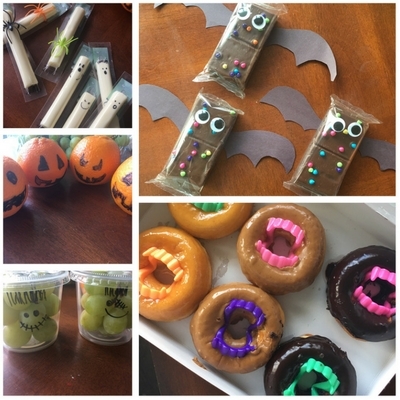 How adorable are these Halloween snacks? They’re perfect for a class party or even just after school snacks for your kiddos. I hope you have as much fun with them as I did! « Sweet and Tender Pork Stew, Crock-pot Style!